Baum Squad: The Baum Family Blog: 38 Weeks! And Last Update?!?! That's right, folks. This just might be my last weekly update post for this pregnancy. See "Doctor Appointment Update" below for more details. Since that part of the post is where most of the fun is, I'll try to keep the rest brief for the first time ever. Size of Baby: Around 6.8 lbs (if this were three weeks ago, maybe - mine is probably 8.5ish currently if my 36-week ultrasound is any indication) and over 19.5 inches long. Baby has a firm grasp, and his organs have matured and are ready to rock and roll outside of Mommy's belly. Seems like there isn't too much happening development-wise other than plumping up. Joy. Cravings: Still sweets. You'd think I would have gotten my fill last week with all of Lilly's birthday treats but I still can't get enough! Aversions: Things that are healthy slash not sweet??? Symptoms: More of the same. Just general discomfort, which is totally normal. Peeing all of the time - seriously for the past 4ish days I have been up once an hour at night to use the bathroom. Every. single. hour. Exhausted but other than getting up to pee frequently I've actually been sleeping a lot better. 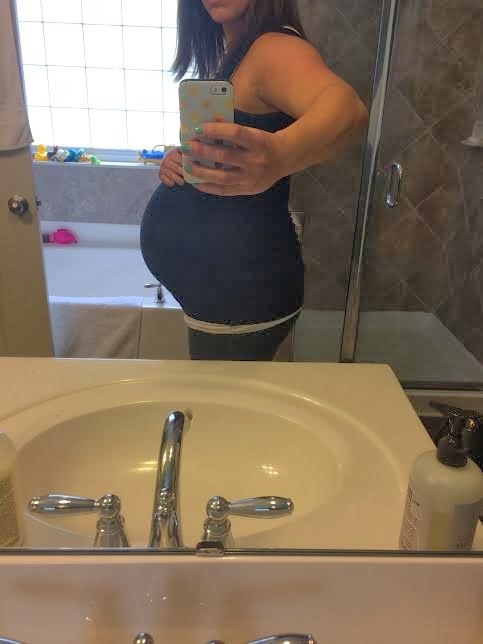 Swelling (more on that below) and contractions - some of which have been pretty painful. 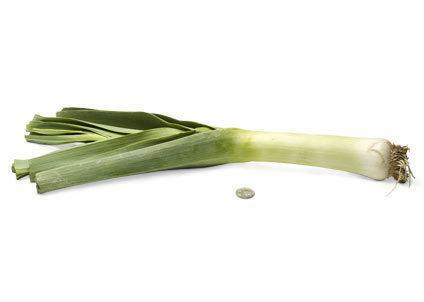 And he's low - so low I was sure I'd be at least 8 cm dilated when my cervix was checked today (again, more below). OMG and constipation is back BIG TIME. Sorry if that was TMI but seriously. It's bad. Movement: Still moving a lot, but definitely slowing down. He's running out of room, I'd imagine! What I Miss: Drawing a blank here. I'm very fortunate that I'm still feeling great! Size of a Bump: I don't have anything to compare this week's bump to since Lilly was around a week old at this point, but the bump is definitely still in full effect. Sweet little (not) enormous whalephant! What I'm Thankful For: My sweet husband, and our family and friends. Dan has yet again been working tirelessly to help me feel ready for this baby. The nursery is nowhere near completed, but it's organized and clean and painted and the basics are in place. He was also instrumental in helping me pull off Lilly's birthday party over the weekend, and throughout all of it has been trying his best to make me take it easy and rest. He is seriously the best. Our family and friends have been so helpful as well - I have had countless offers to help with whatever we need and for that I am so grateful. Special shout-out to Andrea for helping me organize the nursery on Sunday - after that project was completed I finally felt "ready!" Which was good because I was pretty sure I was going to have this baby Sunday night! What I'm Looking Forward To: Stephanie's sprinkle this weekend! Also meeting my little man soon, and cherishing the in between time with my sweet Lilly. Doctor Lilly. "Mommy! There is a polar bear in my ear! Mommy! There is a dinosaur in my ear!" And yes, she still wants to wear her birthday shirt so I don't fight it. Have you ever tried to reason with a 2-year-old? Doctor Appointment Update: Lots to report here. I was having some pretty strong and consistent contractions this morning, so at the last minute I decided to throw some things in a bag just in case. Dan said, "Ummmmmmmm are we having a baby today?" Just trying to be a little prepared! My blood pressure has spiked since last week. It's been on average somewhere around 118/70, sometimes slightly higher and sometimes slightly lower, for this entire pregnancy. Today it was 140/90 - not nearly as high as it was towards the end of my pregnancy with Lilly but high enough for the doctors to be concerned. I wondered if this would be the case, because I really have been trying to take it easy for the past few days (with the exception of Saturday aka birthday party day) and guzzling water like it was my job and I've still had a good amount of swelling, which has not happened so far this pregnancy. Dr. T checked my cervix - I am around 1.5 cm dilated and 50% effaced, and baby is head down and ready to go. "Ah yes, very induce-able," Dr. T said. Because of the blood pressure spike and given my history and the fact that the definition of full-term was just changed to 39 weeks, he asked that I work from home for the next week, have some more bloodwork done, and head back in on Monday for an ultrasound and another appointment. He did not specifically mandate bed rest, thankfully, but told me to try to take it easy. If my pressures are still up on Monday (which he thinks is likely), he said that they will likely go ahead and schedule an induction next week. I will be 39 weeks on Tuesday, so if I had to guess, that will be the day, but we'll see next week. He said that I "look beautiful, baby looks beautiful, and pregnancy has been beautiful." He followed that up with, "oh yeah that's a healthy baby you've got there" and estimated "at least 8 lbs." 8 lbs I can handle, it's the head I'm worried about! Anyway, all that to say, unless something crazy happens between now and then, we will likely have a baby next week! Who knows, he could decide to come on his own before then, but I'm happy to have a plan at least. Next Doctor Appointment: Monday, February 3. Ultrasound to measure size (eek) and then a visit with the doctor. So that's where we are! I have a week to snuggle Lilly a little tighter and hold on to her only child status. We also have a week to try to agree on a name. Pray for us. I'm hoping to have Lilly's birthday post up tomorrow. It's snowing here (and sticking! and there's a decent amount of it! ), which never happens and I feel like a kid at Christmas. Can't wait to see what L thinks tomorrow. Hang on... soooo close to getting there. Best wishes! Can't believe the time is almost here!! Can't wait to see pics of the little cutie. And you have had a fabulous second pregnancy, it seems! So great!! I have been very fortunate this time around for sure, and grateful for mostly smooth sailing. I can't wait to meet him. Now he just needs a name! Pray for my marriage, ha!